If you are looking for the perfect way to introduce your children to Shakespeare then taking them to see a production by Red Rose Chain is an absolute must. It’s also equally as entertaining for adults. 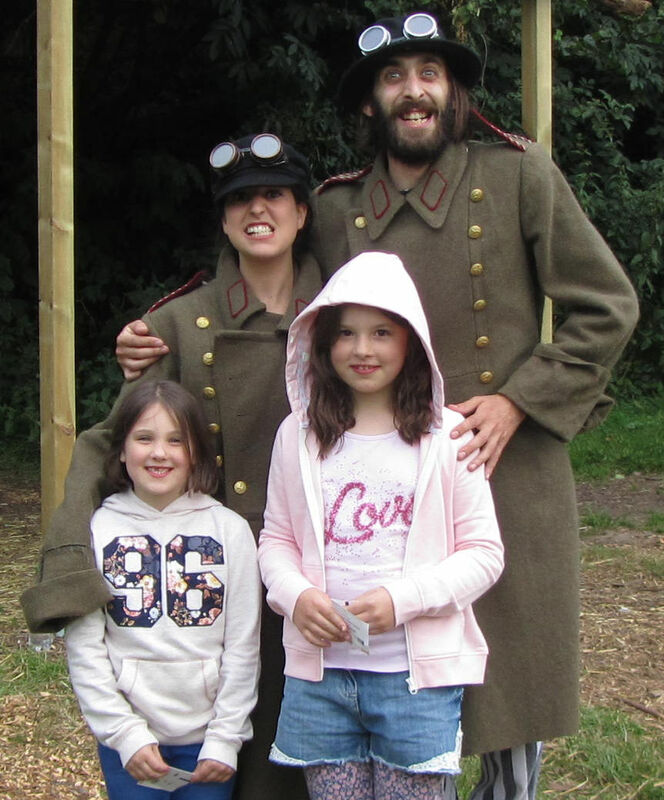 We took our two girls to see their first Shakespeare play, A Midsummer Night’s Dream at the Theatre in the Forest at Jimmy’s Farm near Ipswich in August – and what a fantastic production it was. 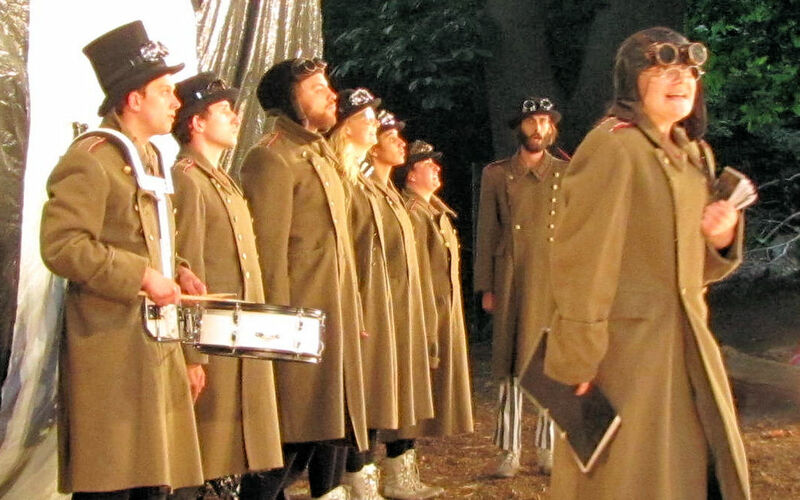 If you are going to watch A Midsummer Night’s Dream, then seeing it performed in a forest at night is the ideal setting. However, the Red Rose Chain team had taken this one step further. The whole outdoor area was beautifully lit with coloured lights and they had even created a miniature Fairyland for the children to explore. 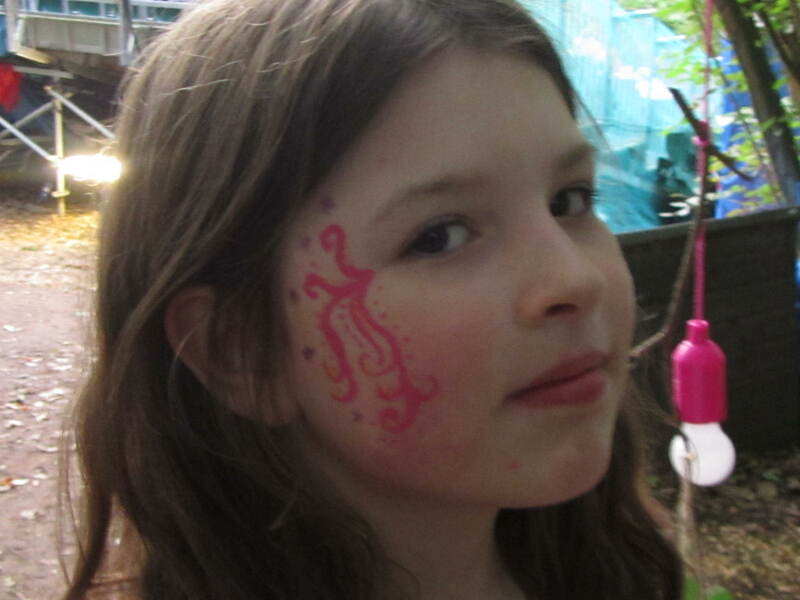 Our girls won a badge for spotting the hidden fairy houses and were then treated to free fairy face painting as you can see in the photo, all adding to the enchantment of the evening. Even before the performance began the cast were out and about doing meet and greet duties. This was really good fun for the audience as they got the chance to interact with the characters who were being boisterous and cheerfully mischievous. It even gave our girls chance for a quick photo op. The performance itself was truly amazing and you have to take your hat off to the director, Joanna Carrick, for her highly imaginative production. This version had everything: exceptional comic acting, live and very funny music, clever puppetry and hilarious dance. There were also some ingenious moments of audience interaction which my daughters really enjoyed – especially when it involved them. Whilst the play remained totally faithful to Shakespeare, the addition of modern anachronisms added even more humour, particularly the Robin Reliant car (which seems to appear in all their outdoor shows) and the fabulously choreographed dancing scenes at the end of the play. Seeing the rude mechanicals perform a succession of dances from River Dance and Swan Lake and then mixing it with Hey Macarena, Dancing Queen and others was eyewateringly funny. What made the performance great, however, was how the actors spotted every opportunity in the text to create something funny, whether this was the way a line was delivered, the perfect pause, the subtlety of a well-timed look or full on physical humour. The Rude Mechanicals performance of Pyramus and Thisby at the wedding at the end was a real comic treat. Meant to be a serious tragedy acted badly by a group of hammy, amateur actors for the Duke’s wedding, it’s always the comic highlight of A Midsummer Night’s Dream and this version did not disappoint. It was so funny that at times the actors had to pause to let the audience finish their belly laughs. Superb. Shakespearean language can be challenging for children to understand; if it’s performed badly and all the children have to go on are the words, they can quickly lose the plot and become bored. This can put them off Shakespeare for life. Red Rose Chain did exactly the opposite; our 7 and 8 year old girls laughed throughout, understood what was happening and were able to follow the plot all the way to the end. How successful was it for the kids? Well, they talked about how ‘awesome’ it was all the way home and we’ve already booked tickets for their production of Beatrix Potter’s The Tale of Mr Tod at Christmas. However, for if you want to see their own review, check out their video below. Most importantly, we’re now pretty confident that when their teachers tell them they are going to be studying Shakespeare our girls won’t be the ones shouting. “Oh God, not Shakespeare’s it’s boring” – and that is entirely down to Red Rose Chain – thanks guys.